Why settle for a plain website when you can outshine your competitors with FireFeather Media? My focus is making your life easier by providing the technology you need to provide goods and services to your clients! 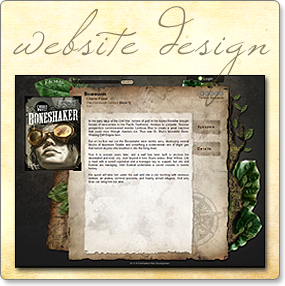 I use the latest in design, development and search engine optimization to bring your website to the world. With FireFeather Media's easy-to-use SkyStudio Content Management System, you can quickly and efficiently update your website directly from your web browser! It's as easy as editing a word processing document! Your business needs efficient, cohesive website solutions in order to grow. I can provide custom software development or design for your every goal. My experience includes API integration with a wide variety of third party systems, content management systems for literally millions of products, and custom shopping carts and store fronts. With FireFeather Media, your website will not end up as a piecemeal monstrosity spread out across several other websites. Need something simpler than a full custom website? 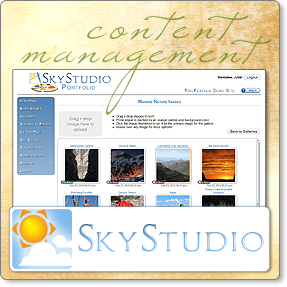 Start off with one of my products, SkyStudio Portfolio or SkyStudio Storefront. It's most important to get your new website up and running so your business can begin to grow! We can then expand with additional custom solutions as your business grows! Your satisfaction is my number one goal! Looking for something on a budget? Have no fear! I can provide professional, high quality solutions within your budget and offer flexible payment plans so you can get your website and business working for you as soon as possible. The quicker your website is up and running, the sooner you can start bringing in the clients! Further travel is possible, but will require advance notice.